Many of us, myself included, are looking forward to the summer break from school. What you may not realize, and I hadn't really considered before, is that nearly 90% of school children have limited or no access to the free or reduced price meals they receive at school during the school year. Wow - right? We may not think it's happening in our neighborhoods and school districts, but studies have shown that it is, and children may be at even greater risk for hunger during the summer months. Kids can't be kids when they're hungry. We had a conversation about his over dinner the other night. It was a classic case of the kids not wanting to eat, and me being reminded of when I was a kid and told, "if you're not going to eat it, we'll send it kids that will." While I know that's not a great way to encourage your own kids to eat healthy, there's merit to thinking about our own habits and how we can help kids have more. The issue of hungry children came to light for me while I was watching an episode of Chopped. It was a competition among Cafeteria Cooks and one woman said if she won, she was going to use her winnings to support her efforts to feed kids during the weekends and summer breaks from school. How awesome is that? She had put together a whole backpack program to send food home with kids over the weekends. So when The Motherhood asked me to be a part of spreading the word about ConAgra Food's Hunger Free Summer Initiative, I said, "count me in!" ConAgra Foods' Humger Free Summer initiative is in it's fifth year (FIVE years - who knew??!!) and has supported the delivery of 3.8 million meals to children struggling with hunger over the summer. How can we make a difference in our communities and in countless communities across the United States? This summer, 26 food banks in 18 states will use Hunger-Free Summer grants, funded by the ConAgra Food Foundation - ranging from $20,000 to $50,000 - to expand their summer feeding program, bringing more healthy meals to more children during the summer. A pretty easy way to help - right? What else can you do to help? Here are some suggestions to get you started, but talk to your own kids around the dinner table and come back and share their ideas. If we all work together, we can make a difference. Volunteer - While providing meals is a top priority, fun activities are also im portant in attracting children to feeding sites, During the summer, volunteers can help transport food, help an existing feeding site with lunch prep and clean-up or do activities with the kids. Visit www.feedingamerica.org to find a food bank near you in need of volunteers. Learn - To learn more about the issue of child hunger, visit www.childhungerendshere.com and click on the "taking action" tab. 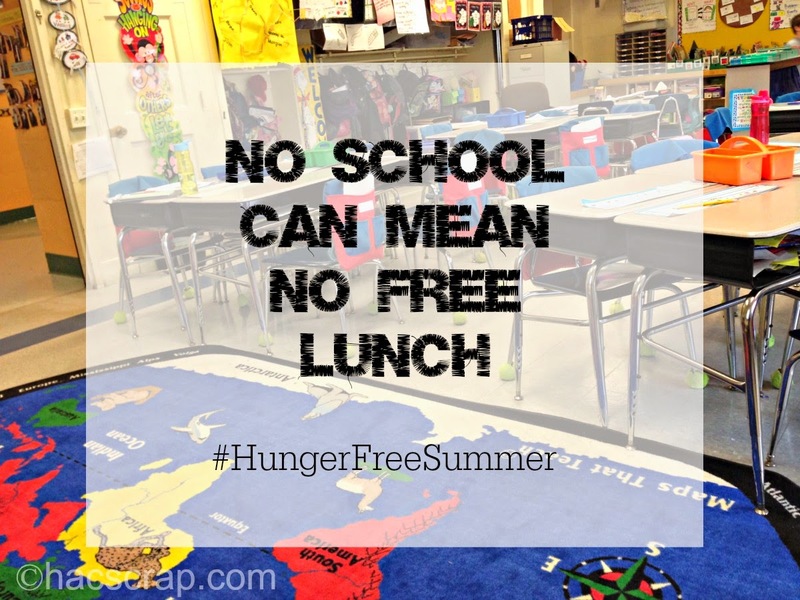 Hopefully together, we can help ensure less and less kids feel hungry during summer break! Here's to a great summer for every kid! 1For every view, like or share of this Kid President video recorded on Twitter, Facebook, Pinterest, Tumblr and Google+ from May 22, 2014 through July 31, 2014, the ConAgra Foods Foundation will donate 11.1¢, the cost for Feeding America to provide one meal through its network of local food banks. Minimum donation of 10,000 meals ($11,111). Maximum donation of two million meals ($222,000). Valid in U.S. only.